The Quill ergonomic vertical mouse is very comfortable to use. It feels natural in your hand. 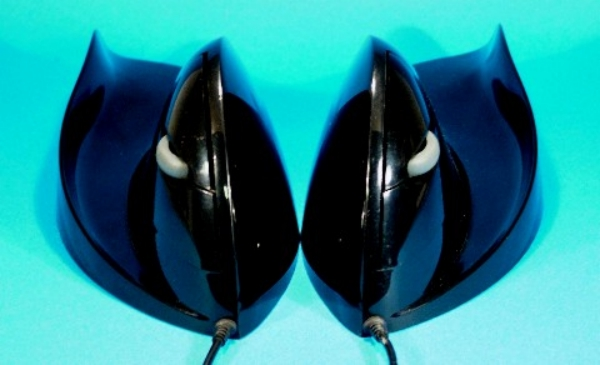 A lot of research went into this ergonomic mouse and it has paid off. This is a wonderful ergonomic mouse. 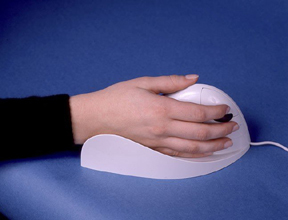 The Quill™ patented Grip-Less computer mouse has an integrated Wrist Guide that maintains the hand, wrist and arm in the most optimal position providing for lowest physical (biomechanical) load. Quill Products are designed to allow users to work in a position that Ergonomists and Therapists call 'Functional Neutral'. This is a position in which you are able to perform work while in a 'Neutral' or near resting posture. It makes it more comfortable to work and limbs that are comfortable tend not to ache. If people don't ache they are less likely to get injured! In this position blood circulation and therefore oxygen supply are improved. When in this position less oxygen is used, as the finger muscles, that need oxygen to work, no longer have to do the work of constantly maintaining a grip on a mouse. This computer mouse will enhance any system. Many people: - Apply over 750 tons of mouse grip a year! Travel 63 miles over a mouse mat! To complete what is ‘the most thought out mousing system’ in the world we recommend the purchase of a Quill-Well™ Mouse Mat . 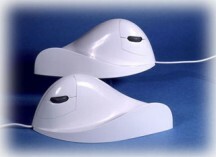 The Quill-Well™ Mouse Mat is matched to the special material of the feet of the Quill Mouse™ to lower friction and so reduce even further the effort required when mousing. - A 3rd party mouse driver can be downloaded from the support pages of the Quill website. - Optical Tracking System for low maintenance high accuracy mousing. - CD supplied with PS/2 driver and other informative material. Windows 95, 98, Me, NT 4.0, 2000, XP, Vista, Win 7 and greater and Mac 9.X and up. © Designer Appliances Inc, 2004. All rights reserved.